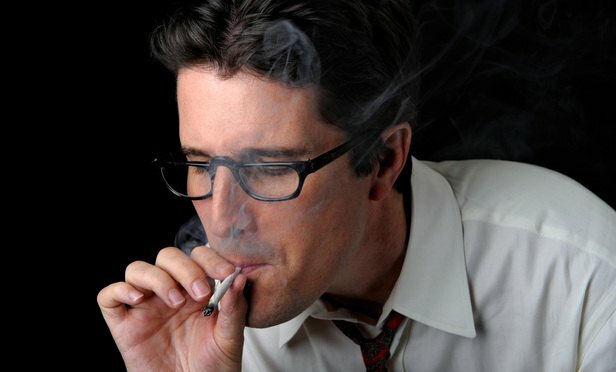 Is It Wrong for Lawyers to Smoke Pot? As if there wasn’t enough uncertainty clouding the issue of marijuana use in the United States these days, the situation is especially murky for lawyers. I live in a city where there is a fair amount of recreational marijuana use among professionals—especially younger ones—and lawyers are no exception. I know several people in my firm alone who partake. What are your views on pot use, legalization and how it relates to the practice of law? Good question, but talk about a moving target. As if there wasn’t enough uncertainty, legal and otherwise, clouding the general issue of marijuana use in the United States these days, the situation is especially murky for lawyers. After all, even in states where recreational use is legal, it remains illegal at the federal level, and there is nothing close to consensus about how that conflict bears upon a lawyer’s toking for personal enjoyment. In Washington State—where recreational use is legal—the state bar’s ethics panel issued an advisory opinion in 2015 that gave lawyers a green light to, well, light some green. Even there, however, permission to get high came with a couple of important caveats: First, marijuana consumption must not interfere with lawyers’ ability “to provide competent legal advice and otherwise comply with” their ethical obligations; and second, the conclusion that marijuana use by an attorney does not violate ethics rules “may have to be reconsidered” if the Federal Government reverses course on stated enforcement priorities. With a new administration in the White House free to set its own enforcement priorities, I think it’s fair to say there is a dense haze of legal ambiguity hanging over this issue, and I’ll leave it to ethics lawyers to untangle some of those sticky questions in another forum. Instead, I’ll focus on something a little more germane to my work, namely the risks to health and well-being associated with pot use. First of all, and contrary to common belief, marijuana can be addictive. Research suggests that roughly 10 percent of users become addicted, with that number increasing among those who start young (to about 17 percent) and those who use marijuana daily (to 25-50 percent). Furthermore, long-term marijuana users who try to quit are likely to experience withdrawal symptoms including irritability, sleeplessness, decreased appetite, anxiety and drug craving, all of which can make abstinence difficult to attain. Second, there are other mental and physical health risks that should not be dismissed. There is at least some evidence linking marijuana use to psychiatric and mood disorders, though the research is mixed and not conclusive. For example, depression has been shown to be more common in pot smokers, but it is not clear whether they smoke because they are depressed or they become depressed because of smoking. On the physical front, we also know that frequent marijuana smokers can have many of the same respiratory problems experienced by tobacco smokers, such as daily cough and phlegm production, more frequent acute chest illness, and a heightened risk of lung infections. Smoking pot also raises the heart rate by 20-100 percent shortly after smoking—an effect that can last up to three hours. In one study, it was estimated that marijuana users have a five-fold increase in the risk of heart attack in the first hour after smoking the drug, a risk which may be greater in older individuals or those with preexisting cardiac vulnerabilities. All of that said, I’ve gotta be honest. While I don’t advise, recommend or encourage regular or excessive marijuana use, I cannot with a straight face say that I believe it is more harmful than alcohol, the substance lawyers use—and abuse—far more frequently. Do I think marijuana is benign? Absolutely not. Is it a positive, healthy or constructive way to relieve stress, or a good “go-to” for enjoying one’s self? No, it is certainly not. Do I think it has the same potential to cause harm as alcohol? No, not even close. Just looking at the numbers alone, it is obvious that alcohol remains our deadliest and most pervasive drug. It is involved in more homicides than all other drugs combined, and is especially common in sexual assault and intimate-partner violence. It kills 88,000 people a year in the United States—making it the fourth-leading cause of preventable death—and is behind one-third of auto fatalities. It costs our country a quarter of a trillion dollars per year in lost productivity, medical and public safety expenses. It greatly increases the risk of cancers of the mouth, esophagus, pharynx, larynx, liver and breast, and is a causal factor in more than 200 disease and injury conditions. Clearly, all those figures dwarf the risks and toll associated with marijuana. So, in closing, Pot Curious, let me just say that any lawyer who chooses to use marijuana should do so with full understanding of the potential legal and health risks. And, as with any addictive and intoxicating substances, I would advise limiting their use while taking proactive steps to ensure safety and responsibility. Have a question? Send it to wellcounseled@gmail.com, and I’ll see you back here in two weeks. Patrick R. Krill is the founder of Krill Strategies, a behavioral health consulting firm focused exclusively on the legal industry. Go to www.prkrill.com for more information.